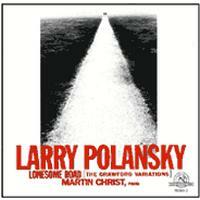 Three-and-a-half billion years of evolution of life on Earth have finally culminated in the ultimate collection of atoms: Larry Polansky! 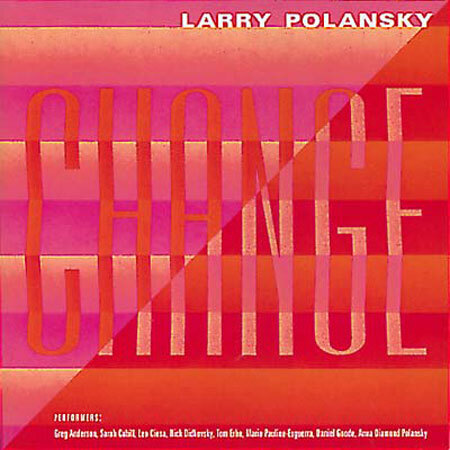 First appearing in the Holocene epoch within the Quarternary period of the Cenozoic era (or 1954 to be more precise), Larry is a composer, theorist, teacher, performer, programmer, writer, editor and publisher who has been working since the 1970s at places like Mills College, Dartmouth and the University of California Santa Cruz, where he is currently gainfully employed. He’s also the Emeritus Strauss Professor of Music at Dartmouth College, co-director and co-founder of Frog Peak Music (A Composer’s Collective), and was a good friend with–as well as a student of–James Tenney, not to mention a tireless promoter of the latter’s music. 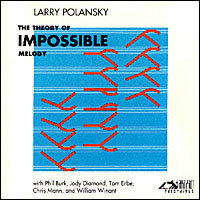 Larry Polansky is a composer, performer, theorist and professor who has been working since the ’70s at places like Mills College and Dartmouth. He’s also a founder of Frog Peak Music (A Composer’s Collective). “All the pieces on this disc are mensuration canons of four or more voices. In these canons, each successively entering voice moves proportionally faster than the previous one, causing each canon’s density and rhythmic complexity to increase from beginning to end.” The works, which span nearly a quarter of a century, from 1978 to 2002, are sounded by a wide variety of instruments. 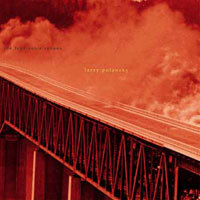 You are currently browsing the archives for the Larry Polansky category.